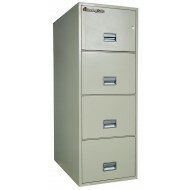 The FireKing 4-2125 is a four (4) drawer legal size fireproof file cabinet. This series, like the bigger FireKing fire files, have high quality features such as a Medeco key lock and a UL fire, and water resistance rating. Try the 4-21255 fireproof file for an economical and price saving model. Chose from in-stock colors for quickest delivery Black, Platinum and Parchment. 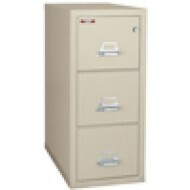 The 2-2130-2 is a two (2) drawer vertical file cabinet with a high security Medeco Key Lock. 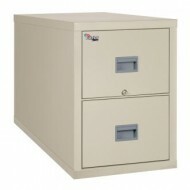 This fireproof file cabinet has the high UL two hour fire protection rating. This model will accommodate legal size documents. Extra care has been taken to construct easily moveable and durable drawers. For quickest shipment, order from in-stock colors Black, Platinum, or Parchment. Even though the 3-2131-C fireproof file cabinet has only three (3) drawers, it has plenty of storage space because it is deep. Its width is designed to hold legal sized documents. It comes with a high security key lock and a one hour UL fire rating. 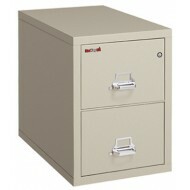 This is a large fireproof file cabinet with superior 2 hour UL fire protection rating. The three (3) drawers are sized to hold legal size documents. This is a vertical fire file cabinet. WIth it depth, it provides plenty of storage for files. For fastest delivery, chose from in stock colors Black, Parchment, Platinum. 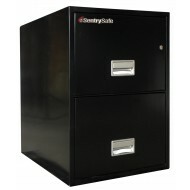 This 31" Deep Legal file cabinet is protected against fire, explosions, water, and drops. Should disaster strike, your files, records, and valuables will be kept safe in this well manufactured safe. Available in three different colors, this cabinet has a high end appearance, a sturdy build, and fantastic security features. The drawers will accommodate both letter and legal size documents. 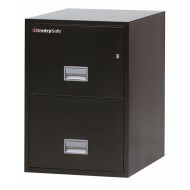 This file comes with a complementary media chest, the Sentry 1100. 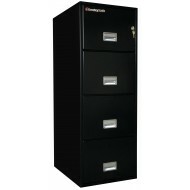 The is a deep three drawer deep file cabinet with a large capacity. The rugged suspension of these deep drawers allow for easy movement even when drawers are fully loaded. 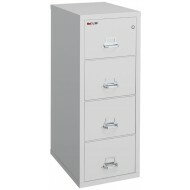 This file cabinet comes with a UL one hour fire protection label and a UL impact rating. 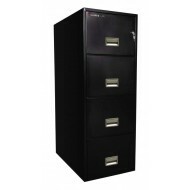 This is a tall four drawer vertical file.